One of my highlights from my grandmother's funeral was this basket. It was given to me by my second cousin Julie. She told me that she had had this basket for 35 years and never knew the story until recently. 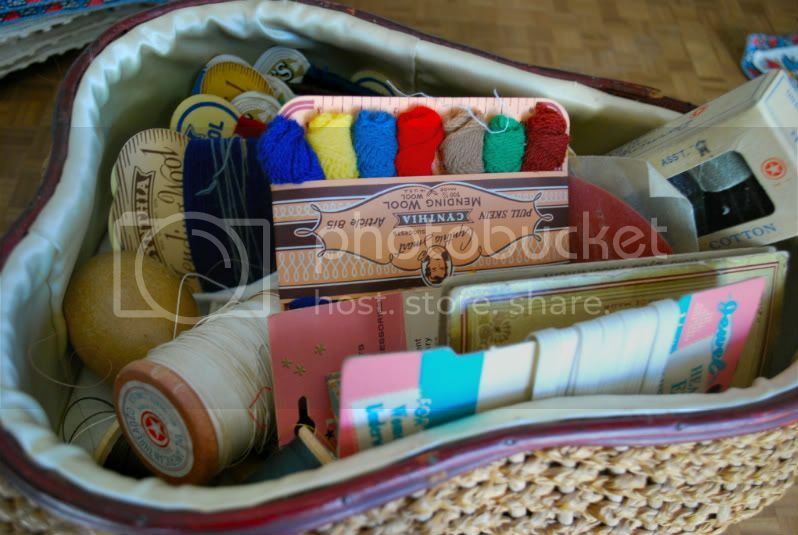 This basket was my grandma Larita's, grandmother's mending basket. 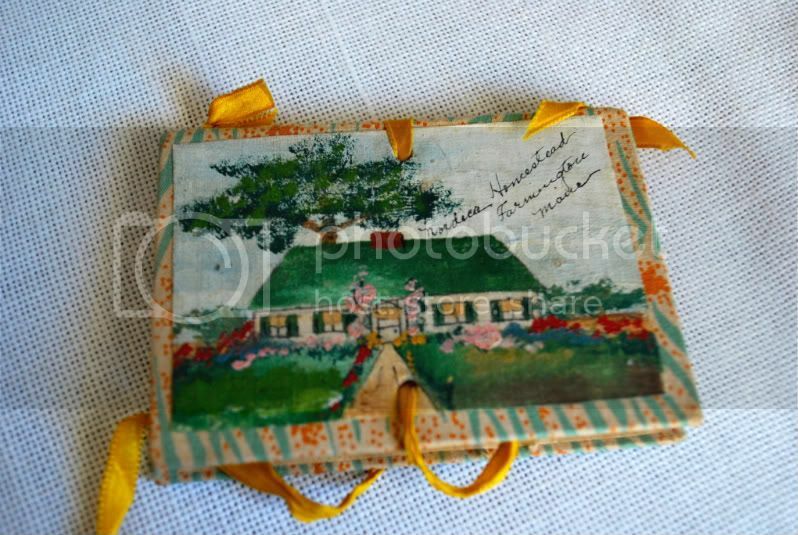 It was lined with the satin from my grandmother's wedding dress and filled with all sorts of goodies. I have taken each little item in and out of the box a dozen times. I think about all the things that must have been mended; gloves, cushions, socks, jackets, sweaters... 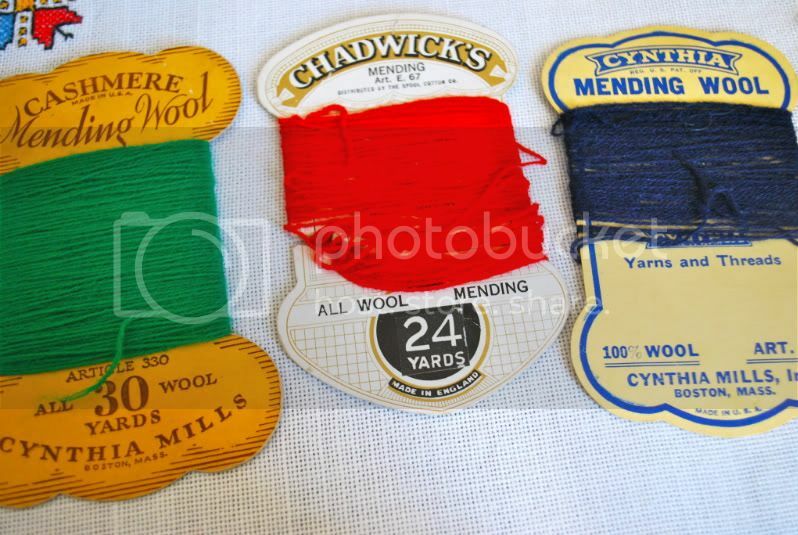 I wonder what happened to mending? I guess that we are not as invested in the clothing that we wear. I think if it took me hours to make a pair of socks I surely would mend them. 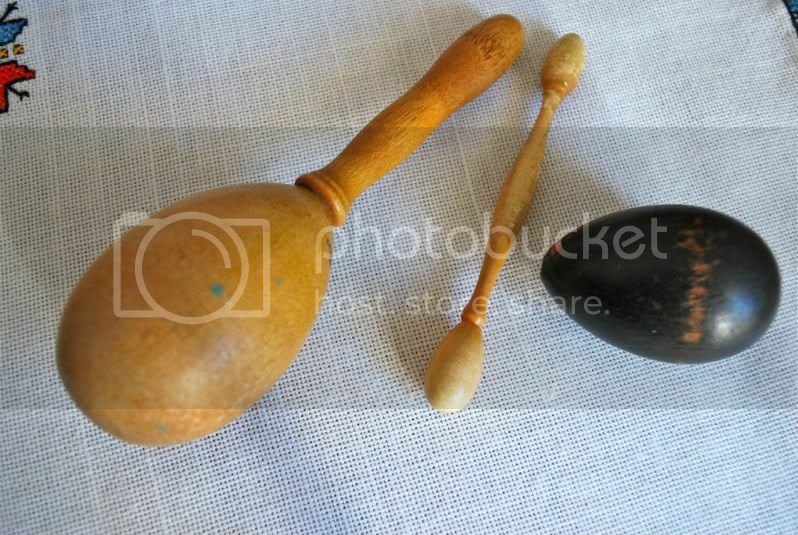 I wish I could remember what these were called... these were used for mending gloves or socks. You would hold the piece of wood in the area that you were mending so that you could keep the shape. I love the little pointy one for gloves. HOW sweet! The liner from her dress...unreal. I love those little colorful skeins!!! What an absolute incredible treasure! I don't think there's anything better than family heirlooms with stories attached. And I do still mend. I stitch up holes on things all the time. It's the green thing to do after all. They're darning eggs. What fantastic treasures! that's right! darning eggs! thanks Sarah! That is so amazing!!!!!!! I know the way you feel by having such a beautiful treasure. A few years after my grandmother passed away we were given her necklaces and rings and I never wear them but I go back to that box and look at them and they give me so much comfort. What a beautiful gesture. Enjoy it! What a precious gift for you. I received my grandmother's Bible after she passed away and it means the world to me. I'm sure all of your grandmother's are smiling knowing it is in your hands. 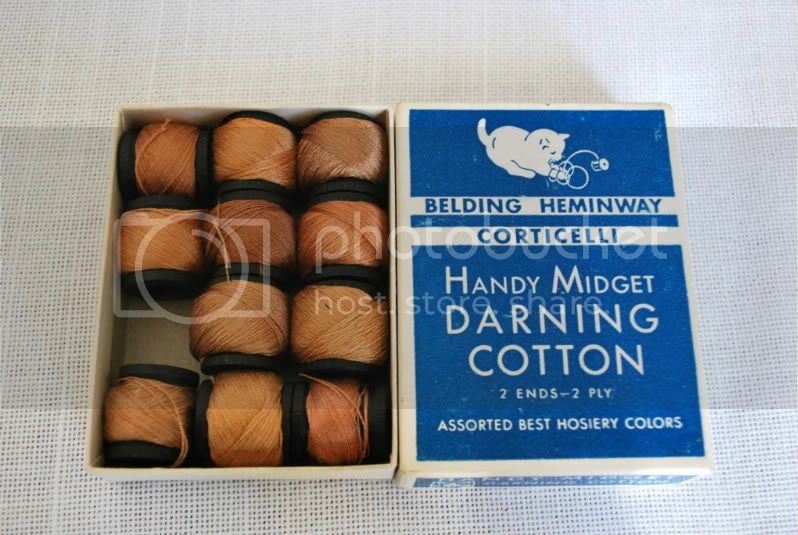 The darning forms are so lovely. 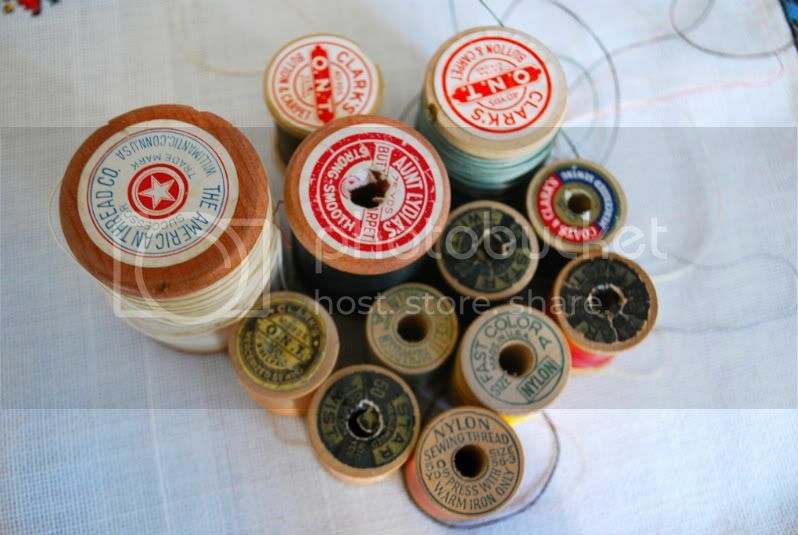 I have my grandmother's button box, filled with buttons and snaps and needles and thread; it's one of my prized possessions. What a great family heirloom! I'm in love with it. 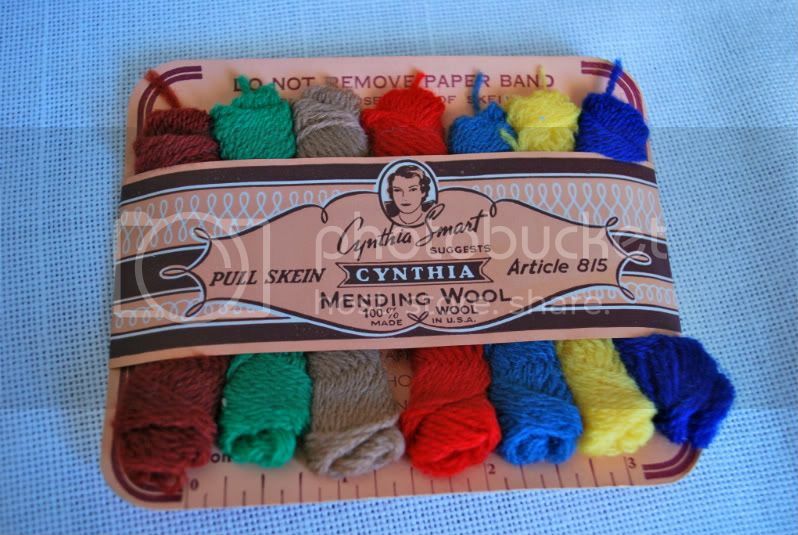 I even started a new board on my pinterest because the vintage yarns are just too cute. What a treasure you were given!! I live that the bag was lined with part of her wedding dress. Thats amazing! Every piece a true treasure! oh my gosh. what a special thing to have. sorry for your loss, but what a special remembrance to keep.